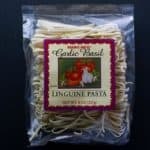 So here is pretty much a lackluster salad kit. I’d rather stick to my bag of Butter Lettuce to be honest. Or some other salad mix. Or better yet, I’d rather experiment with my own. 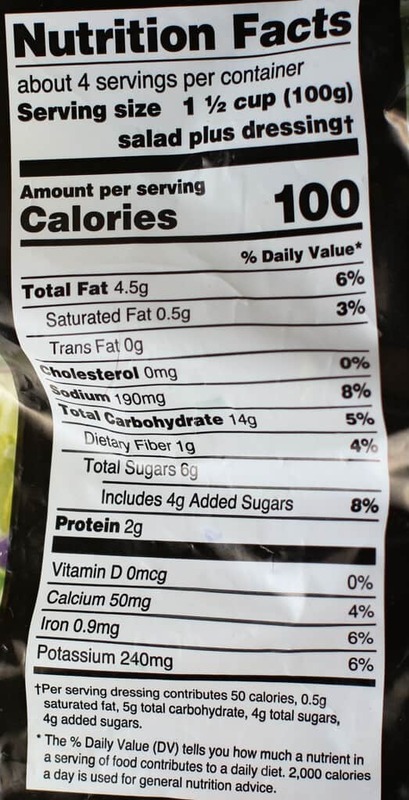 Now, within this plastic bag are even more little plastic bags. One has puffed brown rice that pretty much tastes like tinier rice krispies. The other bag has a lot of sesame seeds. And the final pouch contains the dressing. If they tasted great, I wouldn’t complain about the plastics, but here they just didn’t work very well. 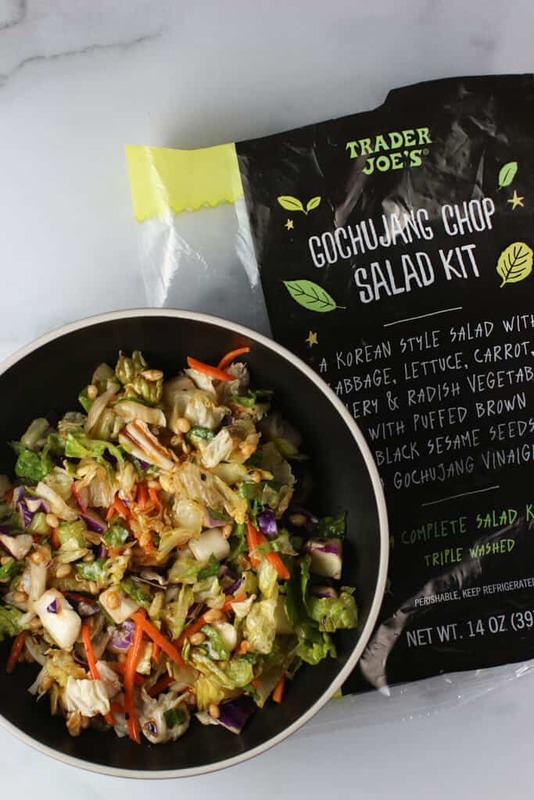 The dressing is a sesame soy sauce with a subtle funky heat that is gochujang. For me, that just wasn’t a great pairing with the crisped brown rice. It just made the salad kinda weird. 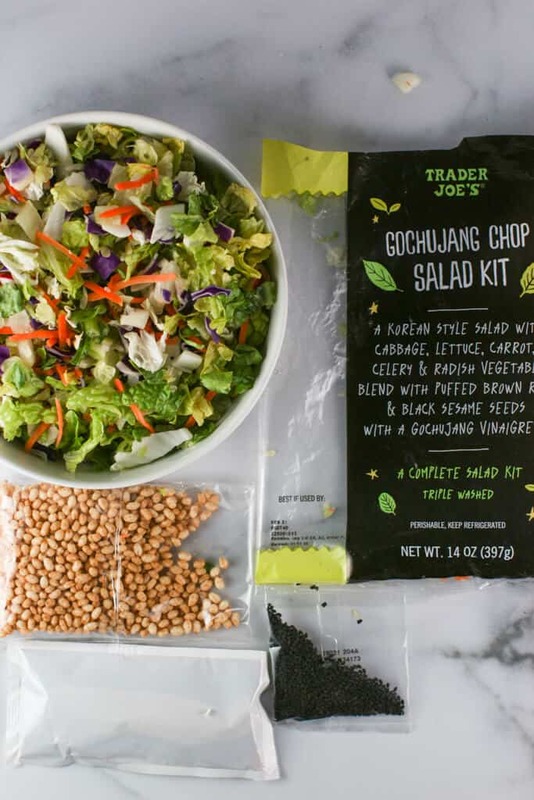 Now, there are a LOT of sesame seeds in that bag, so you might be better off pouring individual portions rather than dumping the whole thing on this entire salad. Some sesame tastes good. A tongue full of sesame isn’t necessarily delicious. For $3.99, it’s new, but it won’t be a repeat buy for me. 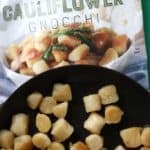 I really didn’t enjoy eating this one. 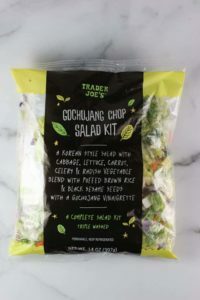 Product Description: Trader Joe's Gochujang Chop Salad Kit is a korean style salad with lots of mix ins. 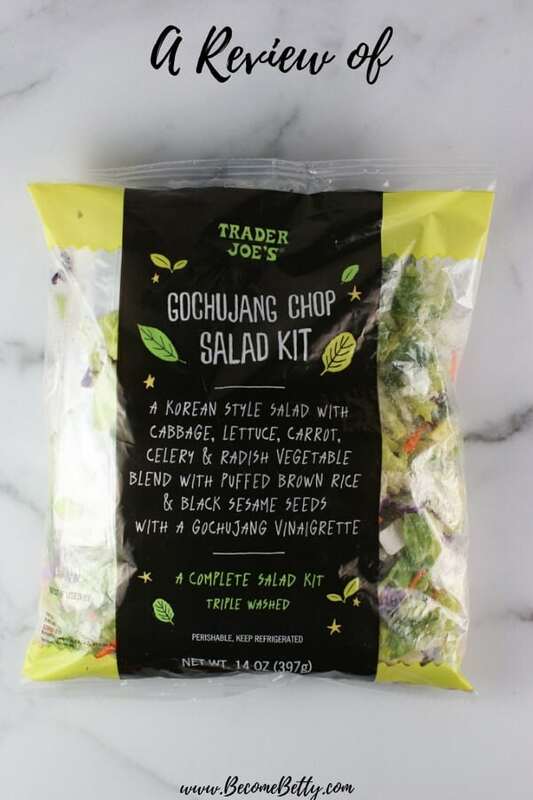 Trader Joe’s Gochujang Chop Salad Kit has lots of funky add ins. WOW! Very disappointing. I think you can do at home with similar results. What a let down. Hey Alek! I felt the same way about a homemade salad. But you can absolutely get better results with what you already have. Thanks so very much for adding this! I agree with Alek, this salad just sounds so odd & disappointing. 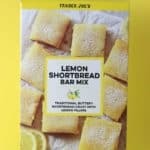 Back to the salad drawing board Trader Joe’s! I still have to try the soba -looking forward to that. Hey Dag! There is only one salad mix I like: Trader Joe’s Baby Spinach with Cranberries, Candied Pecans, Miner’s Blue Cheese and Raspberry Vinaigrette. That is the best one I’ve tried. I don’t buy it often because I can pretty much buy the individual components (except for the dressing, of course). 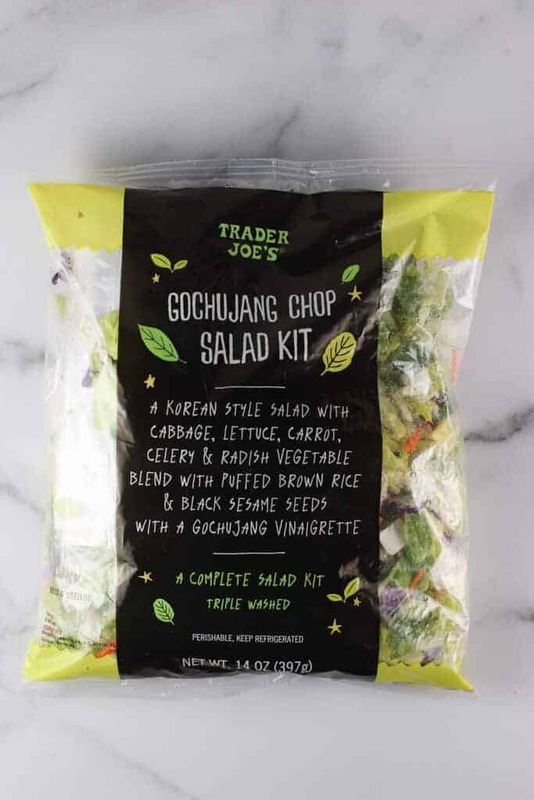 Maybe it’s where I live, but I don’t like any of these salad kits. 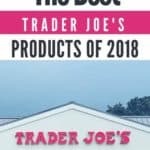 By the time they get into my store they have had a long time on a truck in freezing winter weather, or super hot dry summer weather and they just taste nasty!!! How hard is it to make a salad? I find it kinda relaxing to wash the lettuce ( I’m into living butter lettuce) and throw what ever else is around with some dressing that I have put my own spin on. That’s just my take on salad. Hey PattiAnn! I like a good salad too. And yes I love the living lettuce too. In a pinch I buy the Butter Lettuce but again, I have to use that right away. There is only one salad mix I like out of all of them I’ve tried. But hey, I’m just putting the information out there. And I totally agree with you on how easy it is to make a salad. Thanks so very much for stopping by and sharing! I agree with you about this salad. I bought it and was totally disappointed. I won’t purchase again. I’m wary of salad kits as I’ve had too many disappointments. Hey Beth! 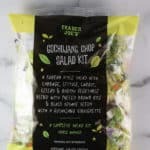 I’ve had pretty much the same experience with the pre-made salad kits. 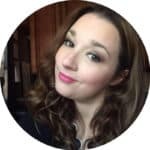 Thanks for stopping by and sharing your thoughts on this. 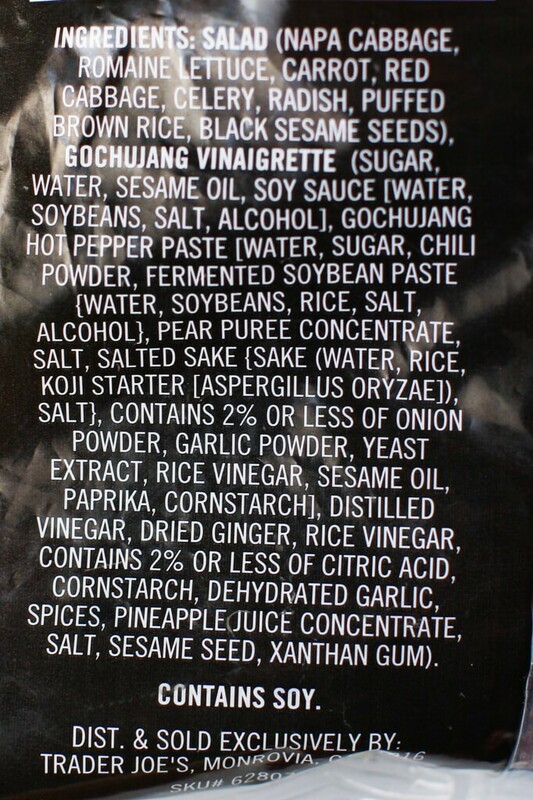 I gave this a look over-seems to be vegan- but the guochujang scared me off since I can’t handle hot stuff. Now i’ll definitely pass. I’ve actually been making my own kimchi vinegrette with extra kimchi brine (i make my own white kimchi) whisked into grapeseed oil. Very into it lately. Hey Ttrockwood! This has heat, but again, you are better off making this one yourself. And absolutely making your own vinaigrette is always tastier than anything you can buy in a bottle. Thanks so much for sharing this. 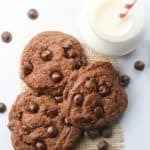 I love hearing about everyone’s cooking adventures.